I don’t write books, just little journal entries or random thoughts/rants. I actually hate rereading my old drafts or posts because I think my writing is cheesy. It’s weird. But I don’t know… It just makes me uncomfortable. So, I guess I let my writing collect dust! I know what you mean . . . sometimes I definitely cringe at an old piece of writing. 🙂 Thanks for stopping by! 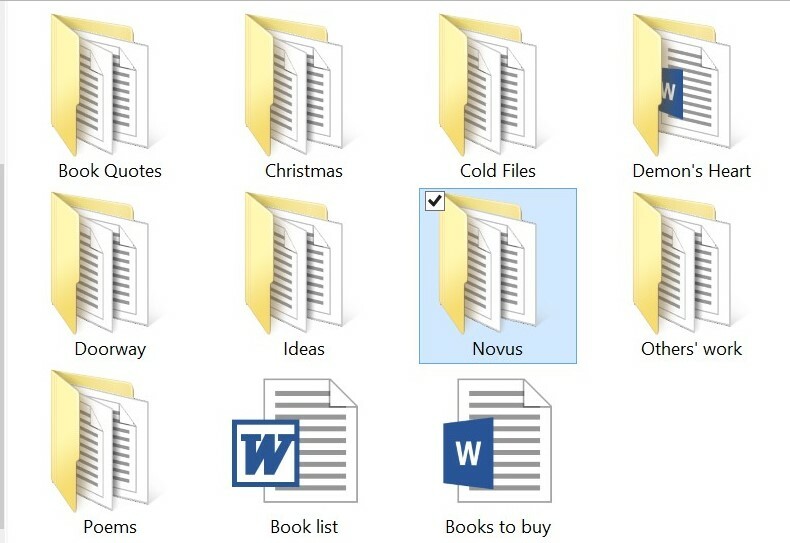 But seriously, my files look pretty much like yours, but with different titles. 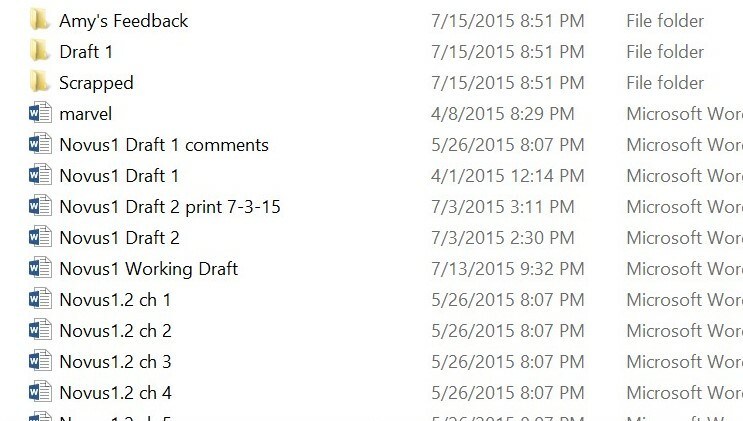 I started being so crazy organized about files back in high school and college. And I’ve kept it up because it’s the only way I know how to keep myself sane with all my information and story ideas and such. Too true! It’s like how I organize my books and movies and such. I don’t understand how people CAN’T do it my way. How else do people find what they’re looking for? Search for an hour?